Our Westbury location offers a complete range of OB-GYN services for women in Jericho, NY. Our experienced team of doctors and clinical support staff provides quality care for every stage of a woman’s life–from adolescence, to motherhood, to menopause, and beyond. We take pride being nationally recognized for excellence in minimally invasive gynecologic surgery. Our Westbury location is less than 5 miles from Jericho and offers convenient access from both the Northern State Parkway and Jericho Turnpike. The office is located on Post Avenue, just south of the Northern State Parkway. As with all of our locations, our Westbury office provides a complete range of OB-GYN services such as well-women exams, birth control, and prenatal care. We also treat both simple and complex gynecologic conditions, including conditions requiring surgical care. We have an onsite lab, pathologist, and 4-D ultrasound machine. Women who are expecting will be happy to know that our patients deliver at the state-of-the-art Katz Women’s Hospital of Northwell Health. Head westbound on Jericho Turnpike, through the Brush Hollow Road intersection. You will pass Home Depot on the right. At the Westbury High School intersection, make a left onto Post Avenue. Proceed southbound on Post Avenue, crossing over the Northern State Parkway. Our office is located on the left (east) side of Post Avenue, just after passing the Northern State Parkway. Make a left onto Rockland Street to enter the parking lot. Proceed westbound on the Northern State Parkway. Take exit 32 for Post Avenue. At the end of the exit ramp, make a left onto Post Avenue. 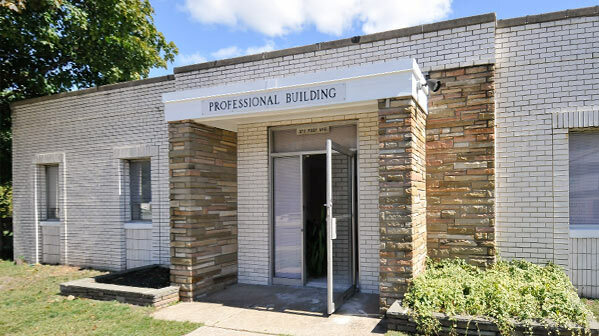 You will see our office on the left (east) side of Post Avenue, 100 yards south of the Northern State Parkway. Make a left onto Rockland Street to enter the parking lot. Our Westbury/Long Island OBGYN office is located at Post Avenue, just south of the Northern State Parkway.